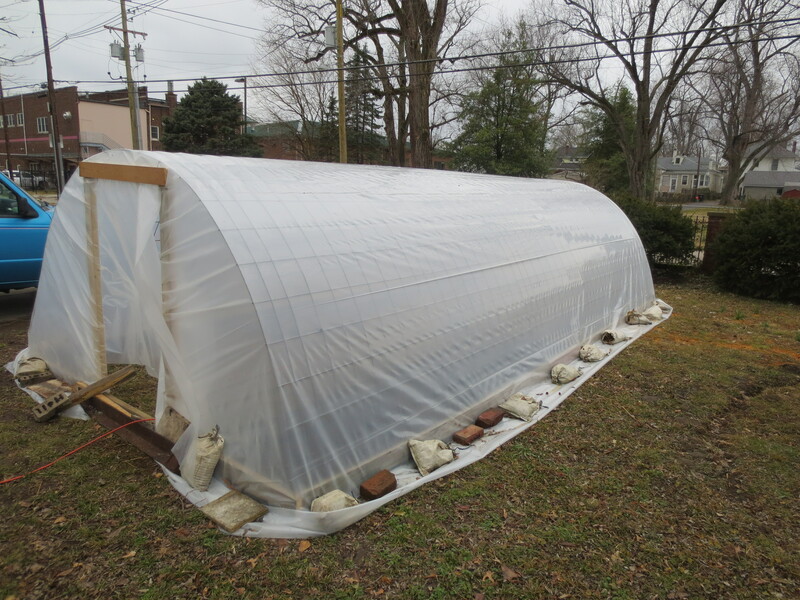 This past week Luke, Doug, and Lynn put up our new Greenhouse. Slightly smaller than the previous one behind our old house, this one has a better covering, and the frame is sturdier, cheaper, and easier to move. Its about 10×20, and should hold just about the amount of stuff we need it to this spring as we are already getting started with a lot of transplants right out of the gate, including kale, chard, kohlrabi, lettuce, onions, peppers, cabbage, and a few other things. 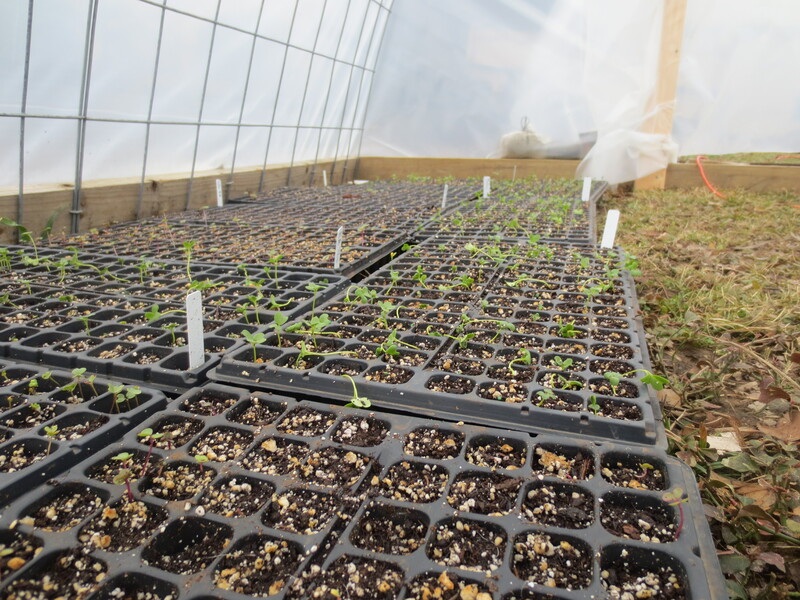 We will update with more photos as we have more things germinating and growing in our new greenhouse!